There are lots of hints that PSL season begins on September 1, 2017. * That’s when you can start asking your barista for a Pumpkin Spice Latte. You won’t see it advertised in stores but you could ask your barista for a Pumpkin Spice Latte, starting Friday September 1st – not before! You still have to wait a few days! 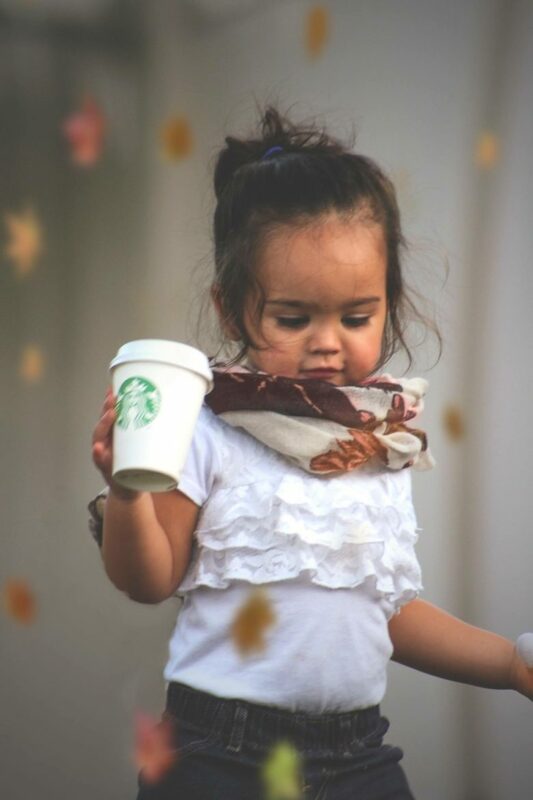 Did you know that the Pumpkin Spice Latte has been around since 2003, and it was nearly called the “Fall Harvest Latte“? The oldest seasonal drink on the Starbucks menu is still the Eggnog Latte: It made its debut in October 1986 and returns to Starbucks yearly in the late fall. The Eggnog Latte has nothing on Pumpkin Spice when it comes to popularity, which has its own Twitter profile and Instagram profile. You may already be seeing Pumpkin Spice flavored Starbucks ground coffee in grocery stores and /or instant Starbucks Pumpkin Spice Via. There’s also a ready-to-drink bottled Pumpkin Spice Latte available in grocery stores. 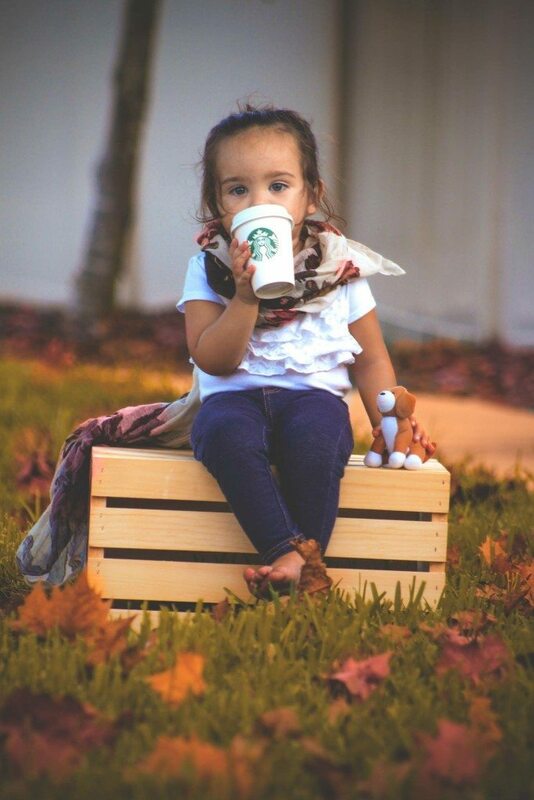 Customers are already finding ways to get excited about Pumpkin Spice. StarbucksMelody.com reader “Iris” submitted these wonderful photos through the “Submit a Pic Button” on this site. Gorgeous photos! Thank you Iris! Please keep sending me tips, thoughts, photos, and more through the “Submit a Pic Button“! 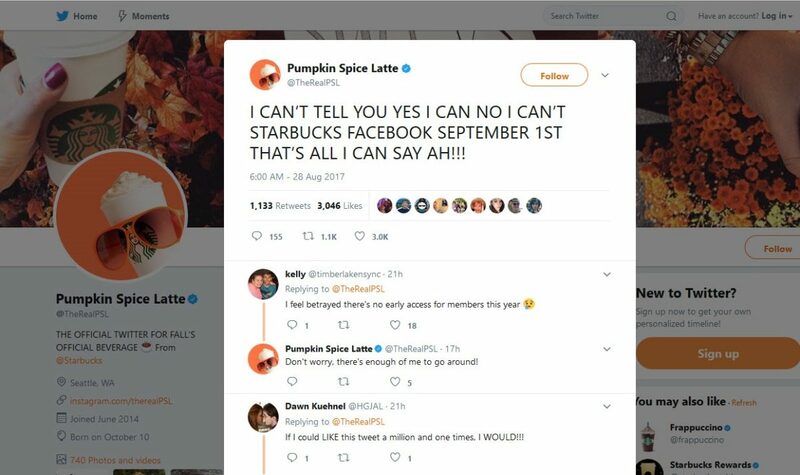 *If you do a Google search, on Pumpkin Spice Latte September 1, 2017, you’ll find plenty of search results. Here is one. Here’s another. All the stores near me (Calgary, AB area) have a chalkboard sign between the tills and handoff area saying “X Days Until Pumpkin Spice Is Back” (or something similar); counting down to September 1st. I first noticed them at ‘9 Days’, though they’ve probably been up longer. I recall reading a comment that some stores in New York are doing the same thing. My barista in Chicago said not until the 5th. 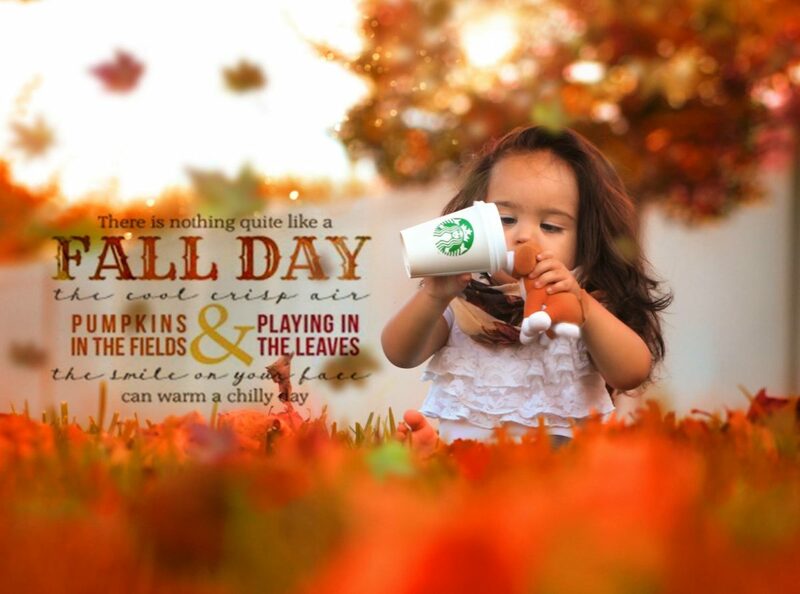 Hi John – Your barista should gladly and happily sell you a PSL beverage starting tomorrow, the 1st. Maybe try again. The store I visited on Tuesday said they have the ingredient in stock already but they can’t use it until the 1st (since I asked if they could use it in my nitro cold brew…) Part of the reason given is, their POS terminals won’t let them enter it yet. Melody, since you have insiders knowledge, any word on the return of the Chile Mocha from last year?